Thank you for thinking of us as we begin this amazing adventure. 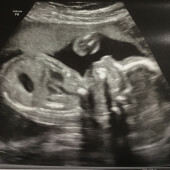 As many of you know, we do not know the baby's gender and will not know until May! We hope this site is easy to use and provides different items from all different stores, which is why we enjoyed using it. We thank you and love you all!